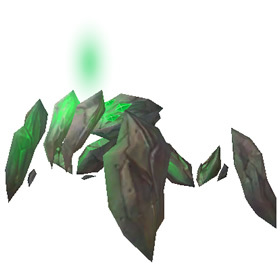 This pet drops off of Jadefang, a rare spider located within the Crumbling Depths caves of Deepholm. To gain access to the rarespawn requires the use of an item provided from the Therazane faction daily, Underground Economy. 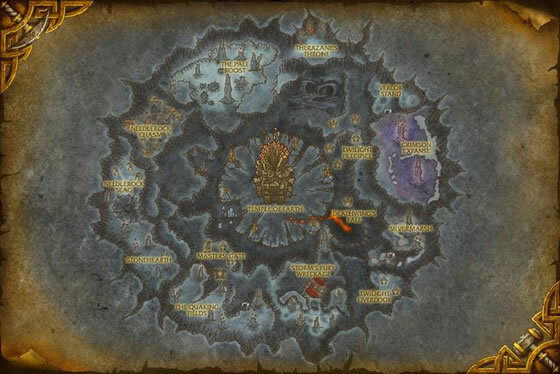 See our Community Guide: Tiny Shale Spider for details. With a bit of ingenuity, engineers can also utilize Nitro Boosts to reach Jadefang. The belt enchant will sometimes malfunction and launch the player into the air, offering another way up into the rarespawn's cave. Finaly just picked it up! Been camping there for a couple of weeks. Checking in the morning and at night. Got it at little after 1 AM! I have been camping this thing on and off for weeks...and nothing. As a Hunter I was torn betweenw tameing Jadefang or the pet! A Hordie made the decison for me by killing jadefang little did they know I had already taged it. This pet can be farmed in bulk (for selling/trading) if you can spare an 80+ alt. While getting to the spot where the rare spawns requires a certain daily quest, you can just camp your alt there. Check for the rare spawn each time you log on or off, and you'll get a bunch of these with minimal effort. Found this little guy in a Misty Satchel of Exotic Mysteries :) Comes from lfg when healers or tanks are really needed. I didn't know about this pet until the rare warning came up for Jadefang, and I looked up information about it after wandering the Crumbling Depths Caves in vain. By the time I figured out how to get up into that alcove (I used the bomb method), Jadefang was gone (killed I guess). So I simply logged there and checked back the next morning and there she was! The pet was a drop after killing Jadefang. Oh wow, 2 days of camping and I found him! Please do have patience, he will drop for you! Got him in Ah for 1.2 k score!!! Just got him. Camped a couple hours last night, logged off...when i came back there she was. I did the Therazane quest string long ago so was unable to use the bomb to get up there. I did the turn the wifi of and on trick to fly all the way in. Worked perfectly. Feel like a cheater...alittle. 4 hours of camping paid off :D dont give up guys! I feel kind of bad. I've only just come back to WoW after a couple of years away, so I've been collecting loads of pets, and today was my first chance at the TSS. There was a night elf hunter (I'm Horde) in the cave, trying and trying to boost up to the cave - obviously after Jadefang as a pet. I used the technique in the guide, got straight up in one go, killed Jadefang and got the TSS. Oh well, at least she'll know how to get up there for next time. This pet is actually easier to get than Pebble . Once you have Underground Economy (and get the bomb) its just a matter of when Jadefang spawns. Underground economy is offered when Pebble is not. Once you have the bomb line your self up with your back to the cave and put the bomb in front of you. Spawns usually every 3-4 hours. You also can find a chest in the cave with Green armor. You must have NPC scan add-on and delete the Cache folder if you saw him before but didn't get him. if you play on a device with a wifi on/off button this pet can be gotten with out rep grinding! go to the start of the cave and mount/flight form and then turn off and then right back on your wifi and move quick to the cave, it might take a couple of tries but it should work! its how i got mine! I managed to blast myself up on the ledge with him by accident, didn`t even know he was in that room. He is cute sure, but a bit tiny for my taste. I found this video helpful since I wasn't entirely sure where I needed to be. I waited a week before the quest ever showed up and saw my npc scan go off 3 times before the daily underground economy was available from ricket(inside the crumbling depths) (you cannot see her when the quest isn't available). You cannot track her from above as a hunter or with any buff. You have to into the cave to find her. After I got the quest I followed the instructions! Sat there for about 13-hours and was getting tired, so went to lay down. A few minutes later I come back to PC and notice I was logged out. I log back in and NPC_Scan went off. There it was right in front of me. I tamed it first, this was around 6pm server time. I decided to stay in area to get the pet next. I called it a nite and the next day after a maintenance update I logged in and it showed up around 4am server time. Read it was on a 6-24 hour re-spawn timer, but unsure. The elemental shale spider is no true arachnid, but it has durability and ferocity that make it feared even in Deepholm.